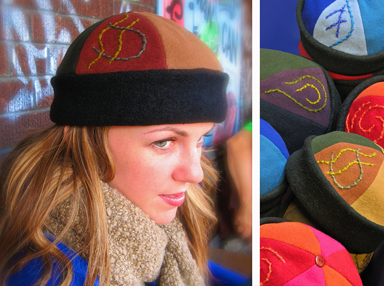 Keep the wind out with Gwendolyne’s sporty winter wool toque. The adjustable rim insures you’re cozy while the original hand-embroidered detail marks your individuality. A wonderful addition to any active lifestyle, it’s perfect for women and men alike.